Fan Forum > TV Shows - Present > The Vampire Diaries > Fierce Pierces (K&E) #4: Because they feed a different part of Nina`s soul! Fierce Pierces (K&E) #4: Because they feed a different part of Nina`s soul! 4th Elena & Katherine Appreciation Thread. You`re very welcome. I need to find some new Katherine/Elena gifs to update the OP. TFTNT! You guys will be added soon. Favorite Elena and Katherine scene? I`ve just added you two. Glad to have y`all on Team Pierce/Petrova. 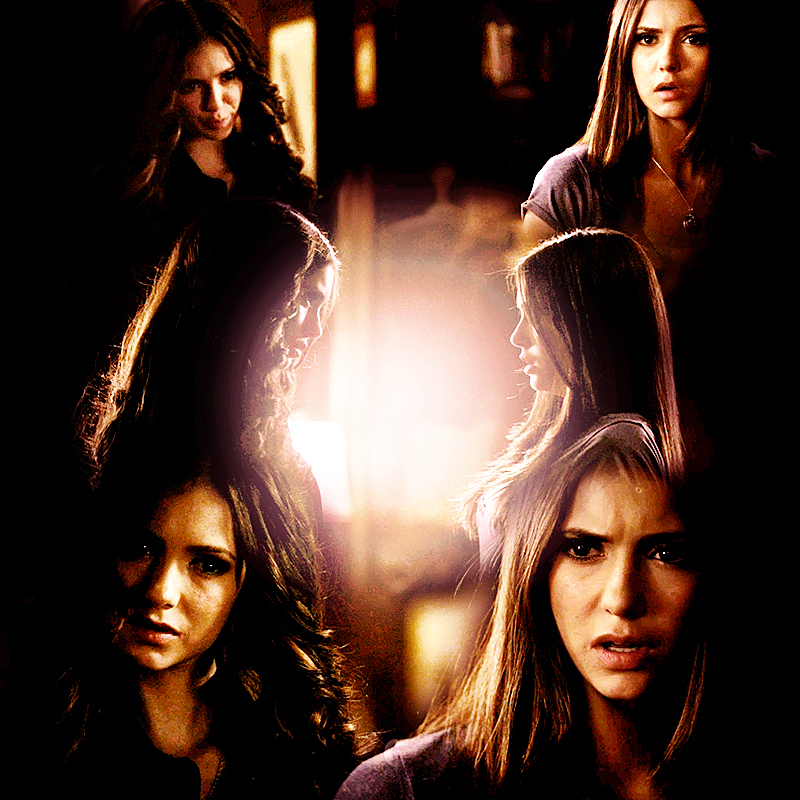 As for my favorite Elena and Katherine scene, it would have to be when they had their discussion in the cave last season. I hope that we`ll get to see them back together soon. Mine is the first time they meet, very intense. I love that scene too. Not only was it very intense, but also pretty hot when Katherine touched Elena in a flirty way. Yeah wish we would have got to see a scene between them. one thing i hate about 3x09 is that alot of good scenes were skipped over.. for the sake being "surprised"
The thing is, a lot of it wasn't surprising Ashley.